Refrigerant Regulations Update | Zero Zone, Inc. Refrigerant Regulations Update – Zero Zone, Inc. In 2015, the United State Environmental Protection Agency (EPA) issued SNAP Rule 20 to prohibit the use of certain hydrofluorocarbons (HFCs) that were previously acceptable substitutes to ozone depleting substances. Rule 20 required refrigeration equipment manufacturers like Zero Zone to obsolete specific refrigerants, including R-404A and R-507A. However, Rule 20 was challenged by parties who contended that the EPA SNAP Program could not be used to obsolete HFCs that did not deplete ozone. Rule 20 was overturned, and despite the decision being appealed to the D.C. Circuit Court of Appeals, the court’s decision stood. Because of this, on February 5, 2018, Rule 20 has been vacated, which allows R-404A and R-507A to be used in new and retrofit refrigeration equipment again. 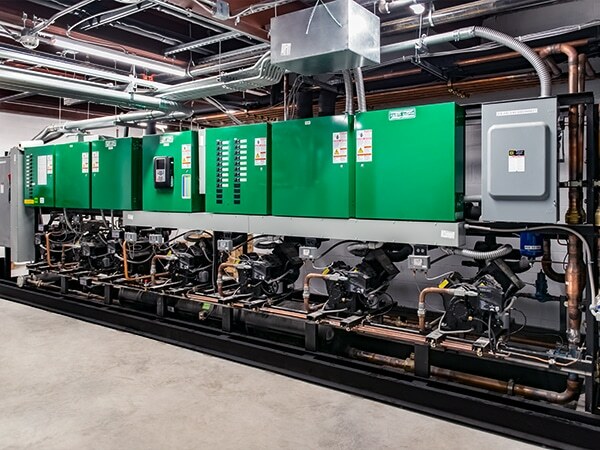 Starting immediately, a variety of refrigerants, including R-404A and R-507A, may be ordered for Zero Zone rack systems and remote display cases. Zero Zone Hybrid™ cases may be ordered with either R-404A or R-448A. Hybrid™ cases utilizing R-404A should be available for shipment by April 1, 2018. Display cases using remote condensing units may be ordered with either R-404A or R-448A. Remote condensing units utilizing R-404A should be available for shipment by April 1, 2018. This change does not obsolete R-448A or any of the lower GWP refrigerants approved by SNAP. Customers may want to order R-448A or other lower GWP refrigerants in preparation for any future regulations. For example, the California Air Resources Board (CARB) has proposed legislation that will implement SNAP Rule 20 in September 2018 for the state of California. It is possible that other states will make similar rulings. Because of this, lower GWP refrigerants may still be the best option for many customers. Customers need to evaluate which refrigerant will be best for their situation. For further information, contact Zero Zone at 800-247-4496 and ask for our Department of Regulatory Compliance and Refrigeration Technology. This message is informational only, and customers should review national and local laws and regulations to ensure compliance.